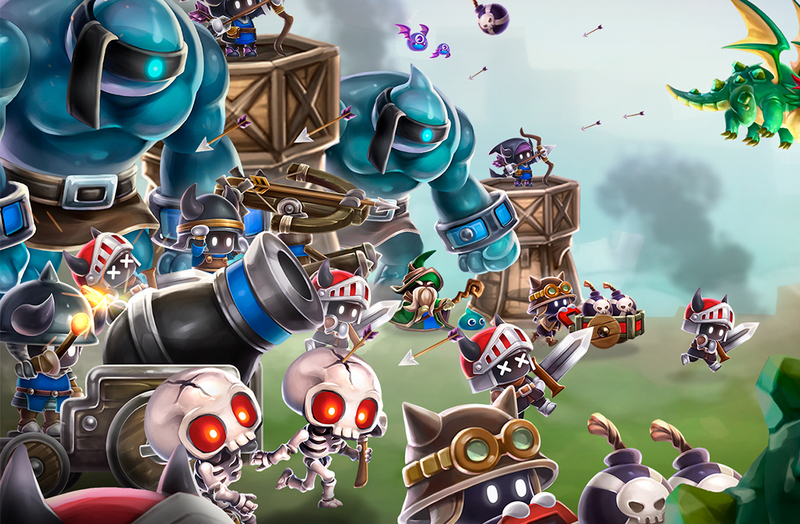 Crown Masters is a new strategy game that follows the pattern of Clash Royale that changes the usual perspective for a scene with three different levels. We’ve lost count of the number of PvP titles that have been released after the success of Clash Royale. It’s clear that Supercell’s title wasn’t the first to implement this type of gameplay, but that doesn’t change the fact that its popularity has inspired tons of developers to try to strike gold by copying its formula. Crown Masters is one of the most recent titles to make an effort, and fortunately it has enough personality of its own to merit praise. The main difference is that the game plays out on three different levels, making it much more challenging, and requiring quick reflexes in order to overcome your opponent. 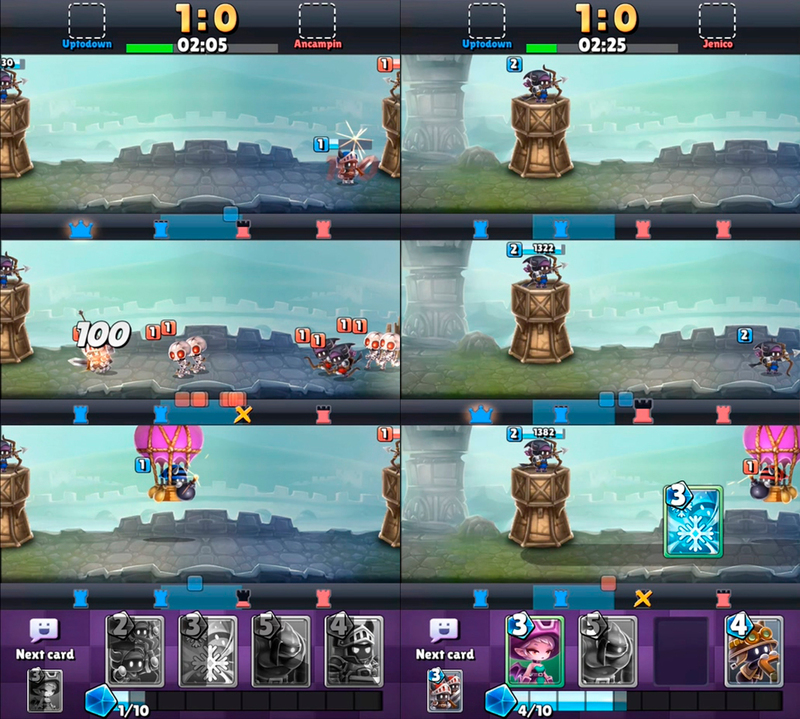 If you’re tired of the aerial view of Clash Royale, then you’re in luck because Crown Masters uses a vertical format to display its matches. It sounds worse than it is, really, but the game works well from this new perspective. The three different levels are more than just a simple gimmick, and contribute to executing the main objective of the game: you will come out victorious if you manage to destroy the tower than contains the enemy king. 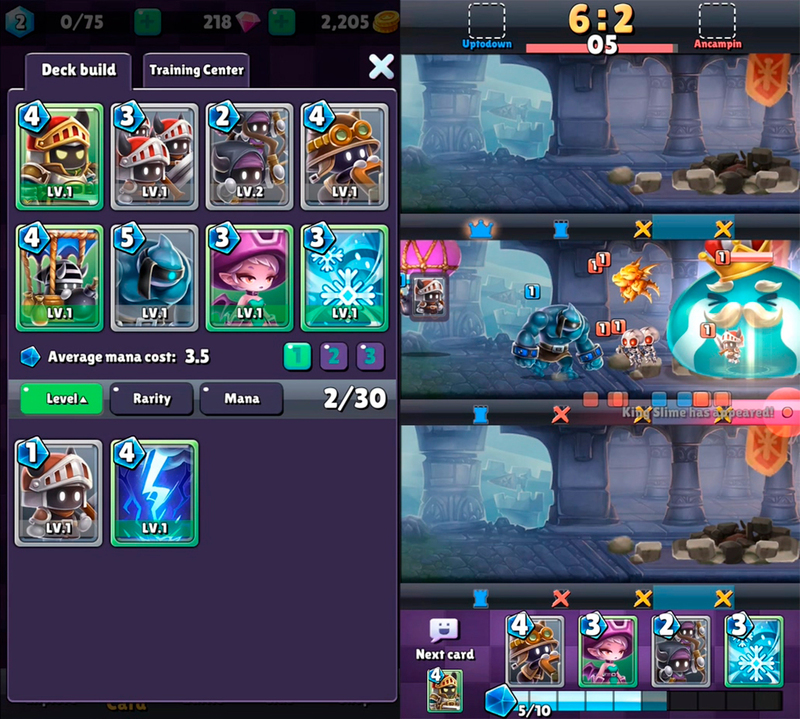 Matches in Crown Masters play like many other games: you dispatch units through cards to the one of the three levels in order to destroy the enemy towers that occupy that level. If time runs out before you manage to destroy everything, the player that eliminated the most towers wins. Other than that, the real differentiating factor is that you have to search for the tower that contains the enemy king, which will instantly grant victory. This extra level of strategy gives the game a lot of replayability, which can be played again and again. Crown Masters is a great alternative for those that are searching for a title similar to Clash Royale, but with a bit of its own unique personality. It also features beautiful cartoon style graphics that make it stand out from the rest of the crowd. That said, the rest is quite limited: you can only raise the level of each card once, and there is a wait time until the level up completes. You can skip this step if you’re willing to pay, but you can’t really complain because pretty much every other game has the same system.